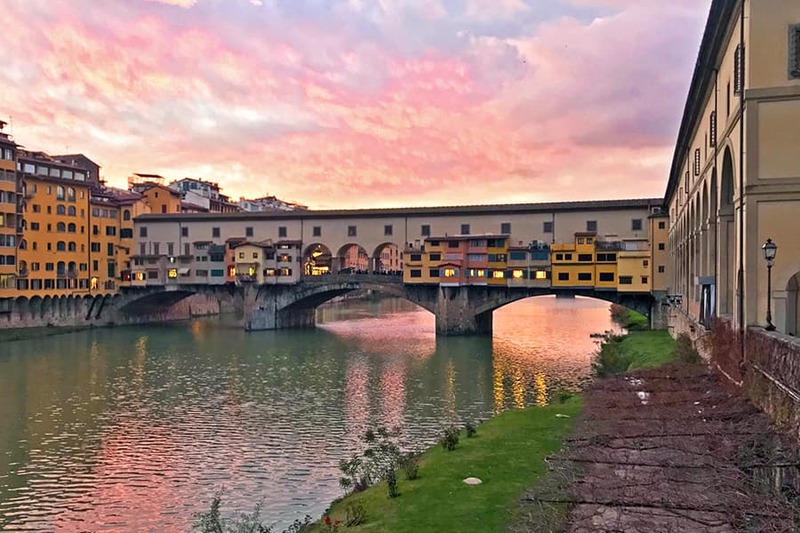 While living in Florence, I have learned that love is not a tug of war, a scale of giving and receiving that I must keep in balance, or a reward I receive for doing something special. Florence has taught me that we are all expressions of love just like her. All we need to do is open ourselves up so that we can freely give and receive love. Florence’s exterior is the doorway that leads to her inner beauty, which is her love. What we see on the outside is only a small portion of the beauty and love that she holds inside. 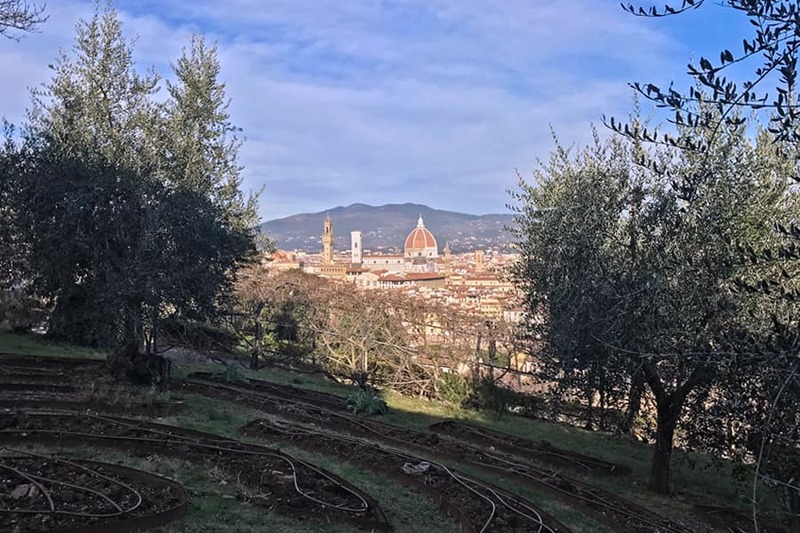 Once we go beyond that initial attraction and dive deeper into her beauty by accepting it, savoring it, and appreciating it, we can experience the love that Florence holds in her heart. Her love pierces us through our senses, and the more we open ourselves up to receiving her love, the more we are able to experience it. When I walk around Florence, I try to maintain a state of gratitude and wonder. 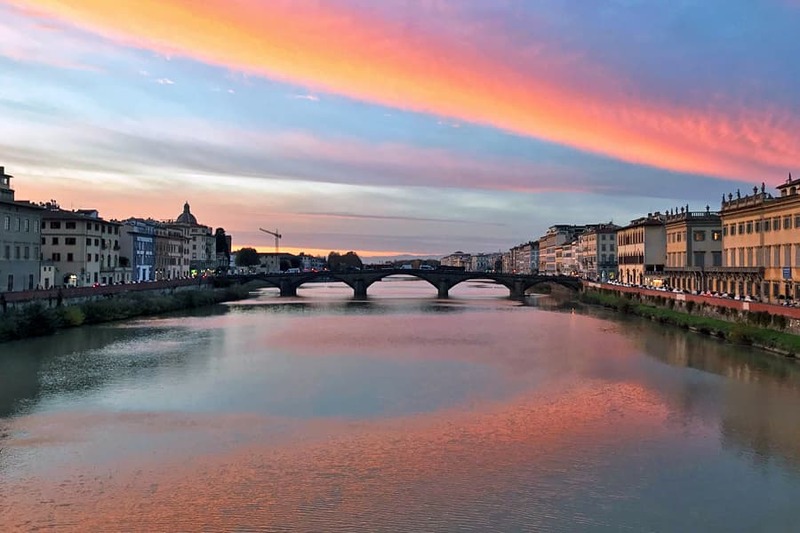 Sometimes, I walk along the Arno River and in an instant am enamored by the light, the colors in the sky, the shadows cast on the buildings, the water slowly moving through the city, and the bridges crossing the river. It’s not the actual details of what I’m seeing, like the brick wall along the river, the lampposts lined up along the wall, or even the view across the river that is so enchanting. It’s her beauty in its totality that my senses try to capture. When Florence captures my full attention, it’s like receiving an unexpected kiss from my beloved that I cherish for as long as it lasts. 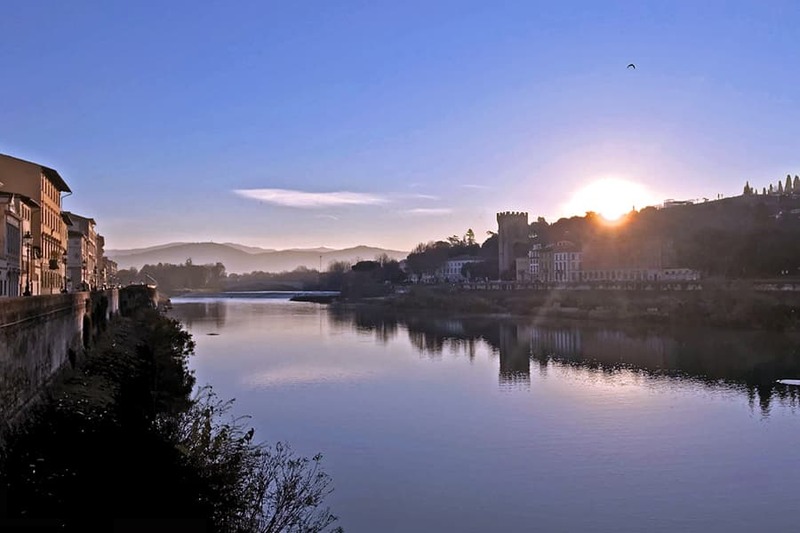 Florence has also guided me to keep my heart open to the beauty that surrounds me wherever I am. She nudges me to look for beauty in the light as well as in the shadows and to be patient when I don’t see beauty immediately. 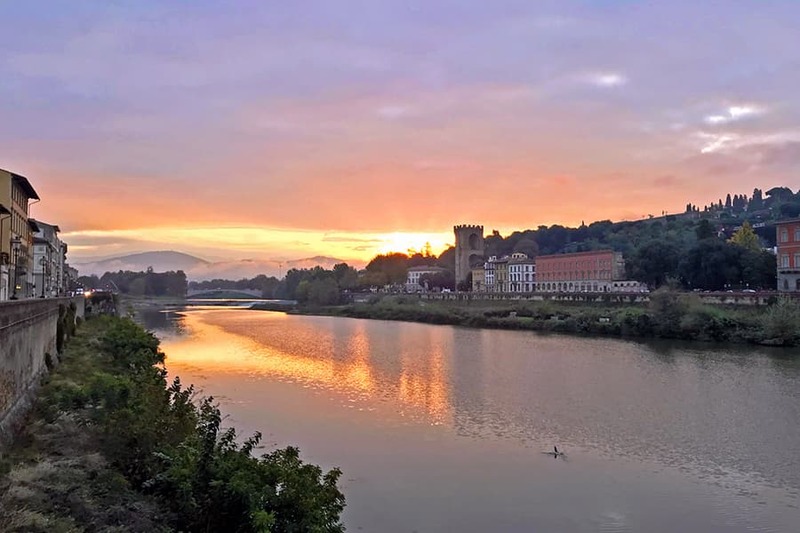 Florence has taught me that beauty, like love, is all around me and it’s up to me to be open to it, experience it, enjoy it, appreciate it, and share it with others. Florence inspires me to give and receive love freely and easily like the breath coming in and out of my body. I will be forever grateful to Florence for teaching me that love is not something any person, place, or thing can give me, but instead that love is tucked inside of me just waiting for me to nurture it and share it. Every person who comes to Florence can sense her energy and cannot leave her embrace without being touched by her love. Florence is an inspiration to us all to honor the love inside of our hearts, to express love in everything that we do, and to share love with others in large and small ways.